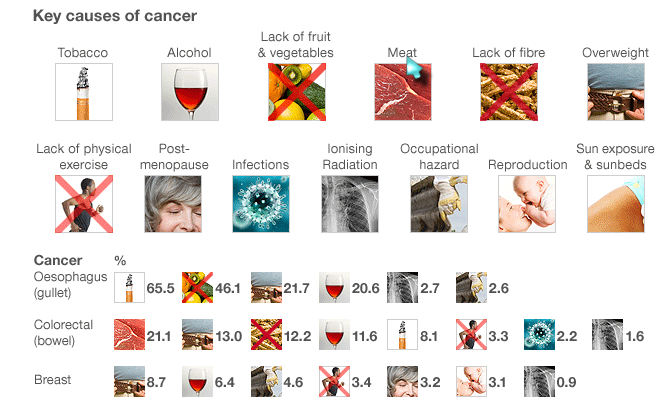 A lot people are dying in cancer.mostly old people aged 65 or above. There are more than 200 types cancer having different symptoms ,causes and treatments.There were an estimated 12.7 million cancer cases around the world in 2008, of these 6.6 million cases were in men and 6.0 million in women. This number is expected to increase to 21 million by 2030. Lung cancer is the most occurring cancer in man and in case of woman, breast cancer is very often. The causes of cancer can be different in different people.What is cancer ? Cancer is the abnormal growth of tissues caused by cell division malfunction. Some scientists says that the genes that controls the cell division get mutated by ultra-violet rays, tobacco, smoking,overweight,red-meat etc. If there is old people dies,one of three dies of cancer. The others die from strokes,high pressure etc.Most old people are dying from the throat cancer. In most cases,cause of throat cancer is Tobacco( pan-masala). 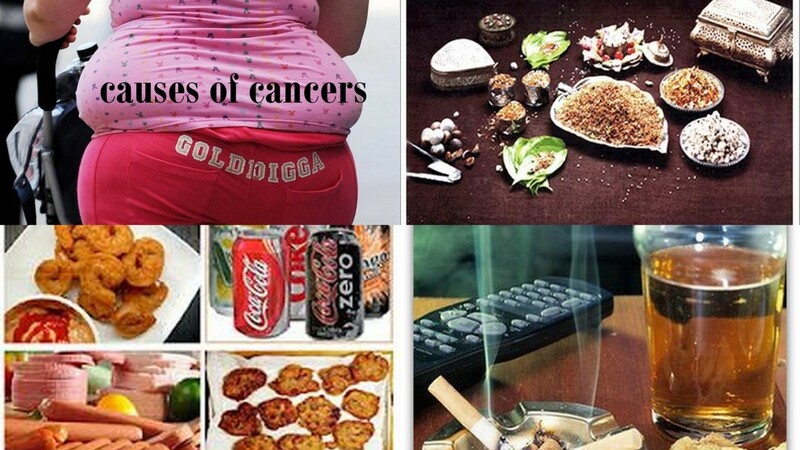 But what are the causes of increasing number of cancer ?? 1. The main cause is our life-style. 3. Alcohol damages the liver cells, which results jaundice, and then the chance of pancreatic cancer increases. 4. Junk foods,fast foods create a chance ulcer,which if untreated creates stomach cancer. 5. Ultra-violet ray,x-ray exposure is regarded as main cause of cancer. Because genes can be mutated by these rays. 6. Most gene mutations are bad for the body. 8. Lack of physical work :- As the years passing, human are loosing the need for physical works, we want a robot that mops our floor. We don't wash our cloths, we have washing for that, we eat more cream, cease, thanks to the refrigerator, we can store them. The company are always advertising drinking cold drink is cool, Why on earth we need to drink cold drinks, its not that we don't know that its bad for health. 20 years ago there was not this much of supermarket, and 20 years ago there were not this much of obese, diabetic, heart disease having people.The rising number of coronary heart diseases are because of sitting on asses. Now people don't feel anything. There is heater in winter and air cooler in spring. You don't to sweat at all, there is also deodorizer, which will block the seat glands of your arm pit for hours. That Is not natural at all. To be perfect is the most nonhuman, we are homo sapiens ,we must not forget that, we are also an animal, who can think,imagine,talk and adapt himself or the environment. We must not live in limits, we must be curious to find the answers out life,god and universe.